President John Mahama has directed that the 750MW of thermal power be injected on an emergency basis to fill in the gap of power shortages in the country and allow water levels at Akosombo to rise further. The president ordered this during his visit to the dam, the nation’s main source of power supply. One more unit of the dam will be shut down to restore the level once the additional power is injected into the grid. Currently, the dam is operating with four out of its six turbines and water level is five feet at its minimum operating level of 240ft generating. At lowest level, the dam can generate 558.9MW compared to its maximum power generation capacity of 1,020MW. However, the water level in the dam is expected to improve once the country receives adequate rainfall this year. 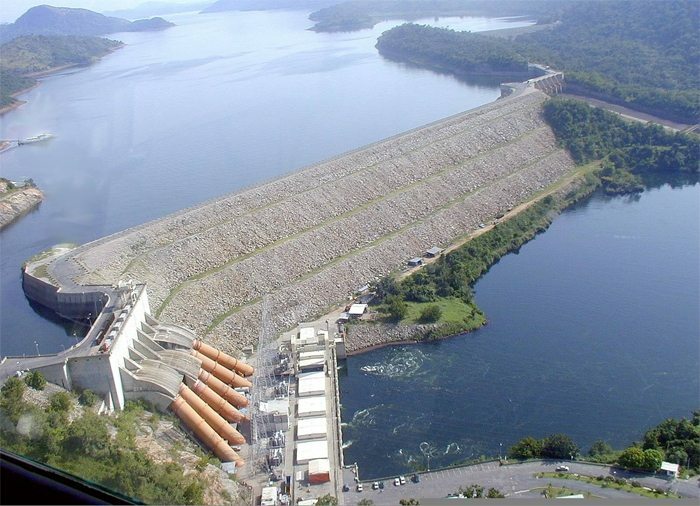 Director of Engineering Services, Mr William Sam Appiah has said the dam is still capable of providing the nation with electricity throughout the year and the coming years although the current water level at the lake was low. “Increasingly, we need to make thermal our main source of power and then manage our hydro resources as supplementary or a back-up,” He added. He expressed satisfaction with lake conservation initiatives by the Volta River Authority. He has said that the country needs to conserve more hydro power for businesses and industries to give them lower cost power. Ghana recently started construction of Kpone Independent power plant, a move that will alleviate more the shortages of power in the country.